XLRI- Xavier School of Management, India’s No. 1 Private B-School, hosted “SYNERGY 2016” – its Annual Operations and Strategy symposium on 6th November 2016 in its Jamshedpur campus. The symposium was organized jointly by AXIOM (Operations Society) and CRUX (Consulting Society) of XLRI; and brought together industry stalwarts, policy makers and entrepreneurs from across the nation to discuss their views. Mr. Arvind Rana, Principal Consultant, Vector Consulting Group introduced us to the systems way of problem solving by institutionalizing the principles of Theory of Constraints. He also discussed diverse topics ranging from Degree of freedom to Fish Bone Analysis to Loss Leadership. 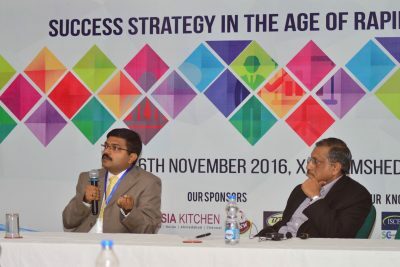 Mr. Joydeep Datta Gupta, Sr. Director and Partner, Deloitte, Mr. Sandeep Chatterjee, Associate Director, KPMG took part in an eminent panel discussion on “Success Strategy in the Age of Rapid Disruptions” moderated by Prof. Sanjeev Varshney of XLRI. Mr. Datta made an interesting comment on how the society must evolve itself in order to keep up with the disruptions created by rapidly changing technology. Mr. Srikumar Menon, Former Managing Director (South Asia), Linde Engineering Global delivered a candid talk to a jam-packed auditorium, introducing students to the root causes of disruptions. Mr. Menon very aptly pointed out that ‘All disruptions are innovations but all innovations are not disruptions’ and went on to elucidate his point with the help of relevant examples drawn from his vast experience. Mr. Mohan Raman, renowned Actor and Management Trainer conducted an interesting session on “How to go to the top, and stay there Rajnikanth style”. It was as informative as it was entertaining. Mr. Raman enchanted the participants with his wit and superb humor throughout the session. Furthermore, the symposium hosted case presentations by students from top B-schools across India and also the finals of Drishtikon, XLRI’s Annual National Paper Presentation Competition. The finalist teams dazzled the panel of judges with their insights. 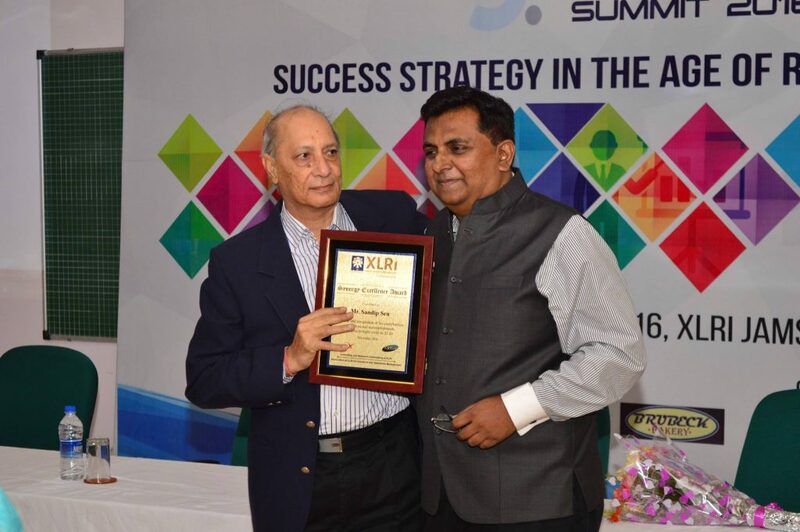 Association at XLRI for Industrial and Operations Management (AXIOM) is India’s No.1 Supply Chain and Operations Club. An initiative, started in 2004 by the students and the faculty of XLRI to help the students gain insights about intricacies of industrial and operations management, its members have garnered interest from industry leaders. Follow them at www.facebook.com/axiomxl for more details. CRUX – Consulting and Research Undertaking at XLRI is the exclusive committee for consulting on campus. As consulting becomes one of the most sought after career options at XLRI with many of the alumni holding leadership positions, CRUX is dedicated to honing current students’ consulting skills and help them achieve their goals in this career path. Follow them on www.facebook.com/cruxxlri for more details.